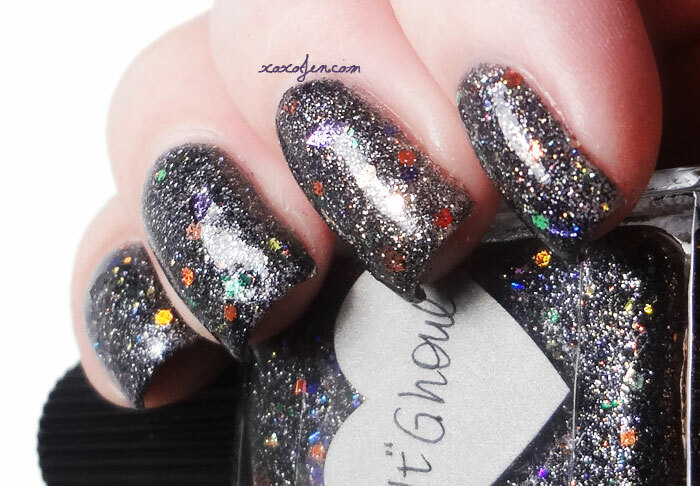 I love Lynderella polishes, especially the micro-glitters like "It" Ghoul. This was a Halloween polish but I think it's easy to wear any time of year. Gunmetal is always fashionable right? This is nice. I like the bits of rainbow glitter thrown in. Yes! 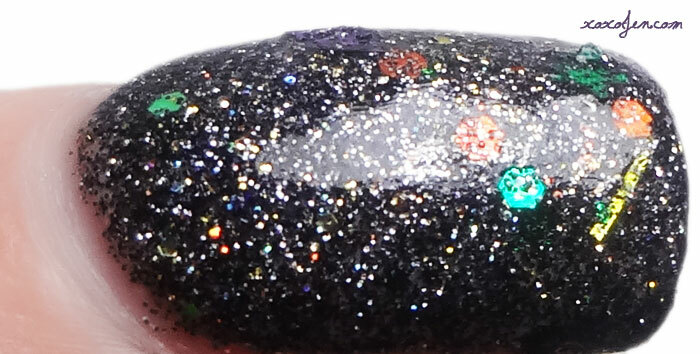 I like to think, those rainbow glitters are summer trying to peek through the grey of winter! Glad you like it!